Some of our top selling items, bundled together at discount prices. A combination of three of our favourite Nuxe products, at discount prices. Bioderma's Crealine/Sensibio range, bundled together at a discounted price. Three Avene Cold Cream products for the skin, hands and lips bundled together, at a discounted price. Bioderma's Sebium range bundled together, at a discounted price. A bundle of four of our top selling products. 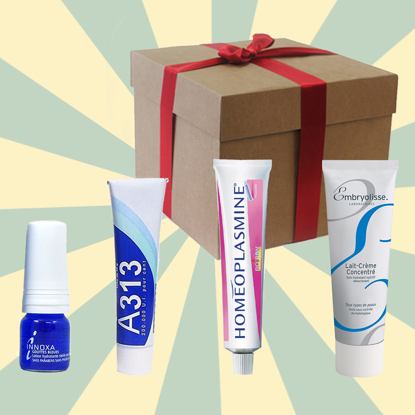 A313 Avibon alternative cream, Embryolisse Lait Ceme Concentrate, Innoxa Blue Eye Drops and Homeplasmine Cream. Three amazing products from Avène to help fight redness and imperfections.